Right now I am happily working on three quilt projects all at the same time. 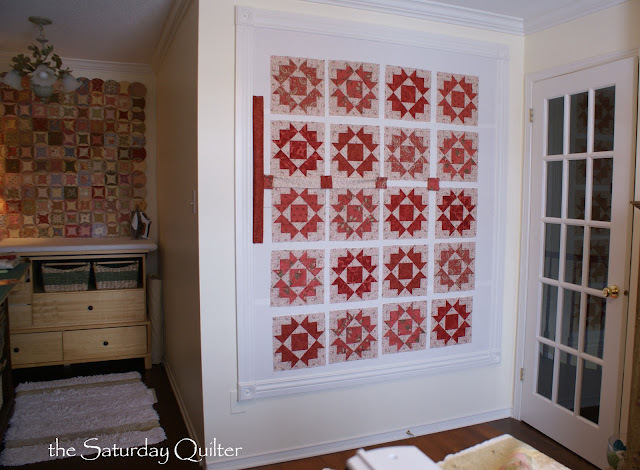 The first one is this quilt currently on my design wall. It is a pattern called "Jubilee" by The Pattern Basket. I love how easy the blocks come together but, unfortunately, it is on hold right now because I ran out of background fabric for the sashing and border. I am waitng for more to arrive from The Fat Quarter Shop (my favorite online shop). 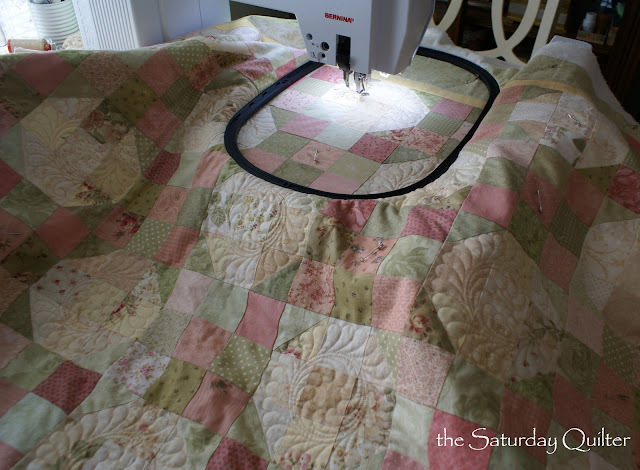 The second one is this little quilt which I am quilting using my sewing machine's embroidery module. I have done a couple of quilts this way and I really like being able to set up the embroidery hoop and then go over to my cutting table to work on something else while the machine stitches away. The pretty little feather wreath pattern is from Diane Gaudynski's "Quilting Whimsy" embroidery collection. And the third project is a baby quilt I am making with Paris Flea Market fabric by 3 Sisters. It is still in its early stages....so far, just the start of star blocks and flying geese. How unusual, I was admiring that very pattern yesterday thinking I'd like to make it. Your version is charming! I never wanted an embroidery machine until I realised they could quilt. 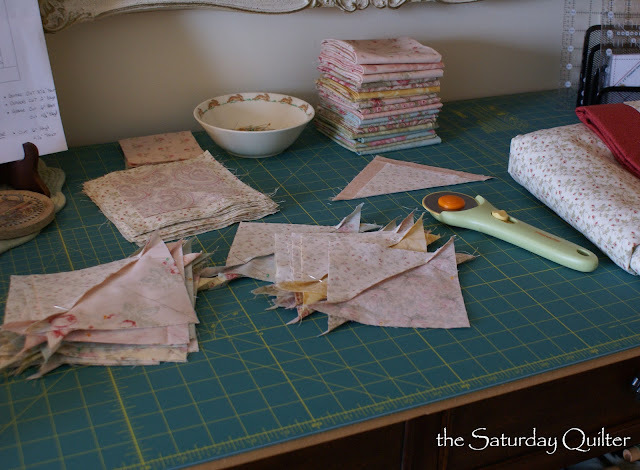 Nice projects and a lovely sewing room.